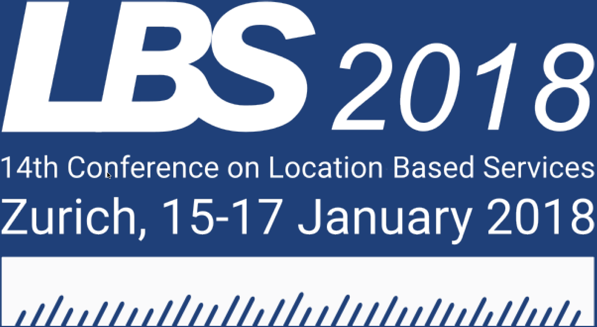 The ETH Zurich and ICA Commission on Location-Based Services are pleased to invite you to the 14th International Conference on Location-Based Services (LBS 2018), which will take place in Zurich, Switzerland on 15-17 January 2018. The Call for Papers is currently open. We call for full papers, work in progress, and showcases. High-quality full paper submissions are intended to be published in Springer’s Lecture Notes in Geoinformation and Cartography Series. The best full and work in progress papers will be invited to submit an extended version to the Journal of Location Based Services. More information regarding LBS 2018 can be found at lbsconference.org. We are looking forwards to your contributions and to meeting you in Zurich! Regarding the upcoming International Cartographic Conference (ICC 2017) in Washington, DC, we would like to bring a number of interesting things for your attention. Immediately before ICC 2017, the LBS Commission and the Commission on Geospatial Analysis and Modelling are organizing an international symposium on location-based social media and tracking data (LSMTD 2017), on July 1-2, 2017. After reviewing, we have accepted 27 oral presentations for the symposium. These presentations will be organized into 6 oral sessions, covering “theories and data models”, “participation and user tasks”, “traffic modelling”, “analyzing human dynamics”, “research applications using location-based big data”, and “place modelling”. The symposium program is available as a PDF here. For more details regarding the symposium, please refer to https://gam.icaci.org/symposium2017/. 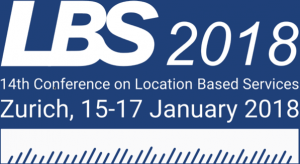 We are very excited to feature 5 oral sessions devoted to LBS, covering wayfinding, indoor and outdoor navigation, mobile cartography, mobility analysis and privacy. These sessions will be on July 3 afternoon (Monday) and July 4 (Tuesday). Please check https://www.eventscribe.com/2017/ICC/SearchByBucket.asp?h=Browse%20by%20Track (please search for “Location Based Services” to find these sessions). Furthermore, a dedicated session is planned on July 3 at 4:10 PM – 5:30 PM to discuss the LBS research agenda. Feedback from the session will be used to further refine the research agenda. We will also have our business meeting on July 4 (Tuesday) at 12:30 PM – 1:20 PM. You are all welcome to this meeting. At the meeting, we will propose some ideas for future commission related activities in the coming years. We would be also very happy to hear suggestions and proposals of events and activities from you. Look forward to seeing many of you at ICC 2017 and at the LBS sessions.